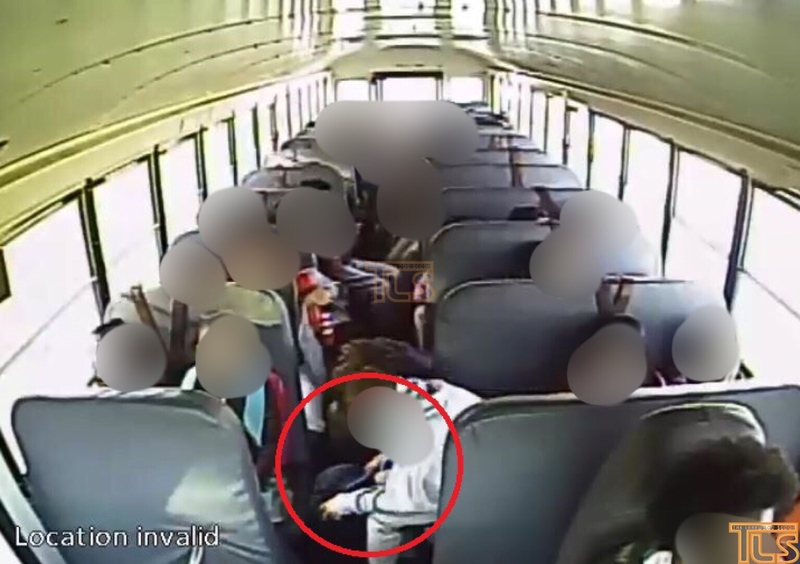 A child has brought a loaded gun onto a Lakewood school bus today, TLS has learned. Sources tell TLS, the child, said to be a 4th grader and approximately 9 years old, reportedly waved the gun on the bus saying he was going to shoot another child. The bus was on the way to the Oak Street School, officials say. A child reported the incident, and the suspect was quickly apprehended by the District’s security team lead by John Stillwell. The gun, officials confirm to TLS, was loaded at the time, and immediately secured. Detective Lieutenant Greg Staffordsmith tells TLS the Detective’s Bureau is investigating. 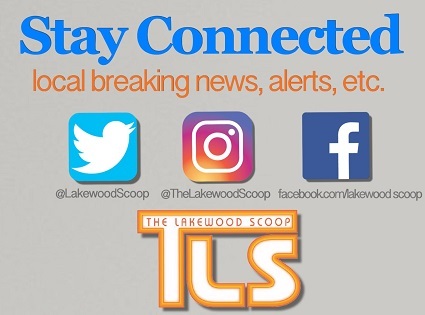 UPDATE: “The Lakewood Police Department is actively investigating the report of a student who brought a loaded handgun to the Oak Street school around 9 am this morning,” Staffordsmith told TLS. Staffordsmith confirms security was alerted by an arriving student who stated that the 9-year-old schoolmate was in the possession of a loaded gun. “Security was able to identify the 9-year-old and did in fact locate a loaded 22 caliber handgun in his backpack,” Staffordsmith said. UPDATE 4:05PM: “Both boys have been charged with the Possession of a Weapon, Possession of a Weapon for an Unlawful Purpose and the Possession of a Weapon on School grounds,” Staffordsmith tells TLS. 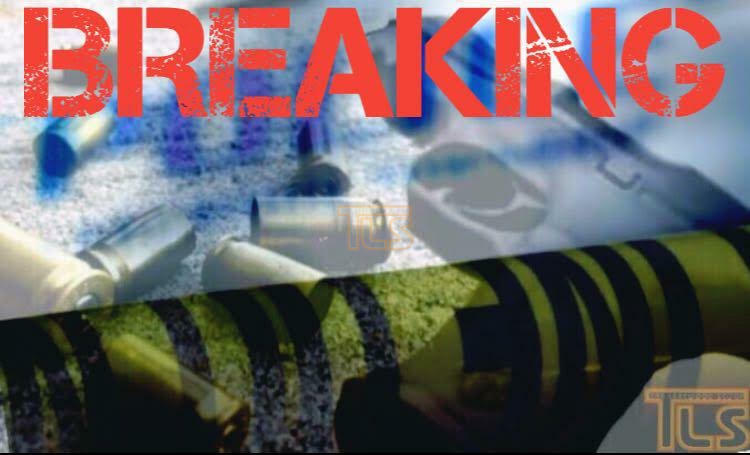 There are 48 Comments to "BREAKING – FIRST REPORT: Child brings loaded gun onto Lakewood school bus, allegedly threatens to shoot another student; Sources [UPDATED]"
what school bus? school? my kids go to lakewood !!! 4th Grader? How low has the world sunk.?? PARENT-REMEMBER to send off your kinderlach on the bus with a prayer on your lips, that they come home safely and they should be matzliach in their day.. Gun was apprehended? Child and parents should of been apprehehend! I sense lawsuit???? open ya (moderated) eyes this here is bigger then a lawsuit imagaine if your kid got shot ! What happened to just good old having a good fist fight?? The kids bring guns and we have all the shootouts. The answer is eventually the frustarayion of not punching your bully/ enemy out leads them to guns and massacres! The rules are way to tight on fist fights in schools ease up and let boys be boys just a little bit so they can grow up naturally like we all did. Oh yeah, punch bullies. That’ll end well. Why was the word GOD hyphenated and not spelled out? Wow! When you think about the kind of tragedy that could have occurred today, it reminds us how grateful we have to be to Hashem for keeping us – and all of Lakewood’s children – safe from harm. While I’m very grateful to school security and police we should not forget to commend the student who actually called security and got the ball rolling. He/She saw something and said something! If this kid and his family are not citizens DEPORT THEM NOW!!! And if there is known gang activity in that this is the reason a loaded gun is so available to a 9 year old, ARREST THE GUN OWNER NOW!!!! The world G-d was hyphenated because it was written by a Jew and Jews do not write it out. I am assuming you were making those comments out of genuine curiosity. The word “GOD” is a very sacred word and must be respected. In some religions it is forbidden to say the name of G-D in vain. Although the word G-D isn’t actually the name of God, while referring to the Almighty Master of the Universe many people in that those communities will refrain from saying or writing the word out in full. This is done out of utter respect for the name of G-D not at all in fear of publishing the word God. Hopefully that clarified your concerns! A 9 yr old with a loaded gun?!? Who did it belong to? A parent? A sibling? Someone’s gonna pay. It shouldn’t have happened! I really object to what I perceive as smear campaign against the Lakewood we (used to?) know. For your readership, a “Lakewood” bus would be a bus going to Bais Faiga or the Cheder. It’s not the bus taking some little, probably illegal, tachshit to a non-private school. Kindly find a term that would properly convey that to, rather than call momentary hysteria. “the Lakewood we used to know” had a very small Jewish private school population and a much larger proportion of public school students. It’s only recently that that has reversed. However this is still the USA, not Bias Hamoshiach, and “we” and our private schools don’t own the town. The article makes it clear that it was a public school kid and nobody is smearing anyone except you with your racist comment that makes all of “us” look bad. I agree with chaim yanked but, the school of today don’t let you fist fight it out. The bullying issues are not being stopped believe me I know. My daughter went to that school nd the only one who took care of it right away was Dr.Boxer as soon as the new guys came in they messed everything up rules changed. Okay maybe a parent had the gun maybe not let’s not forget these houses are rented out to way to many could of been a renter in their parents house. As Well as the video games of today to many killing games not enough good taught in the home of God,nd absent parents both working, while they are on government food stamps nd renting rooms out. I’m a sahm, (stay at home mom) husband works only, don’t have food cards, nd no one lives in my home but, us tooo dangerous. Parents, moms be there for your kids work nd money is not always important at the end of the day it will be gone anyway.What is more important teaching your children good habits or working nd letting them raise themselves. in the days when we had good old fashioned spankings, this didn’t happen. Dr. Spock was obviously wrong in this case. We don’t need gun control, we need JERK control. All this indignation about guns yet the Lakewood community still votes Republican. I can’t believe all you took out out of was how to spell God. 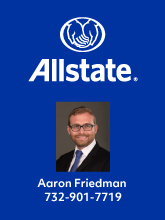 I am not Jewish and therefore do not have to hyphenate it. But the real story is a gun! How did he get it? Where are the parents? Thank God that the school and the police acted fast. Schools don’t need a search warrant to search on their property, which includes BUSES, all they need is a reasonable suspicion. I’m betting that a child saying he saw another child with a loaded gun and threatening another child’s life is DEFINITELY enough suspicion to search a backpack. The scope of the search is reasonable and not intrusive. Democrats don’t have any REAL answers except some slogans and the usual protesting (temper tamtrums) of our rule of law. I can’t believe your worried about a search warrant for this kids backpack! He had a loaded gun that could’ve killed any of our children! I’m sure the gun is not registered and who knows might solve a few un solved murders around here! Thank God everyone is safe. Now let’s s charger these parents! He wasn’t – he was concerned about the possibility of a silly lawsuit. 4th grader! On his way to a very unsuccessful career. Who’s footsteps is he following in? I hate to jump to conclusions but ya think the family (or remote resemblance to one) or home has anything to do with this? .22, Saturday night Special. Deadly on a bus at close range. It doesn’t matter who’s in office, people are going to do what they do! Let’s start with healthy up bringings. Parents being parents and not friends to these kids. Break the chains for a better life! I pray for everyone on Earth! Please God enter everyone Heart to love, and enter everyone’s mind to be mindful! Amen! Somehow somewhere, someone will blame this either on the Jews, or on the Republicans, or on Donald Trump. What i would like to know is what happens to the owner of the gun? What are these school-shooting toys of which you speak? Sad to see 2 people assume the kid is illegal. You can see he’s white, and the EARLIER threat incident was by a white high schooler. Aren’t they supposed to be the minority in our public schools? Your students are so lucky to have you!!! Well the Democrats are going to love this happening…now they will punish law abiding gun owners for this kids wrong doing. I want to know where the gun came from and how the kid got his hands on it. New Jersey has some of the toughest gun laws and guns are still available. The Democrats should be trying to get guns away from the bad people not the responsible gun owners. @ newcomer. The truth is the town is littered with gang tags (spray painted gang symbols) all over the town. I assume a 9yo obtaining and carrying a gun w/bullets as a regular way of life may come from such a “family”.